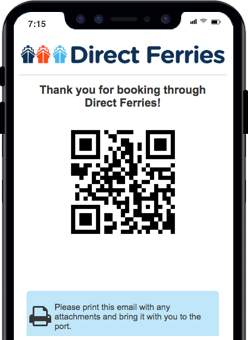 The Ios Heraklion ferry route connects Cyclades Islands with Crete and is currently operated by 3 ferry companies. Minoan Lines operate their crossing up to 1 times per week, Sea Jets 7 times per week & the Golden Star Ferries service is available up to 7 times per week. 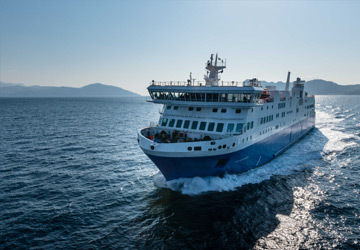 There are a combined 15 sailings available per week on the Ios Heraklion crossing between Cyclades Islands and Crete and with 3 ferry companies on offer it is advisable to compare all to make sure you get the best fare at the time that you want to travel. Prices shown represent the average one way price paid by our customers. The most common booking on the Ios Heraklion route is a car and 1 passenger. Forming one of the Cyclades group of islands, the Greek island of Ios is located in the Aegean Sea and lies around mid way between the island of Naxos and the island of Santorini. The island's terrain is characterised by hills and cliffs that lead down to the sea on most sides of the island. Located on the north west coast is the island's port which is only a short distance from the village of Chora. The trip between Chora and the port can be made on foot which will take you along a steep donkey path, and takes around 15 minutes. The village is characterised by narrow paths and streets most of which have now been taken over by bars, restaurants, shops and night clubs to cater for tourists. 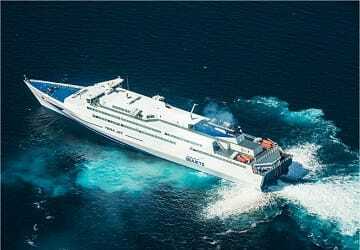 There are ferries from the island's port to Piraeus and Rafina with a crossing time of between 4 1/2 hours and 8 hours, depending on ferry type, route and destination. 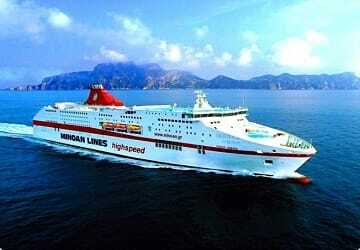 During the summer months Ios is also connected by ferry to the other islands of the Cyclades.